The best thing President Trump could do to secure a successful 2020 election result could be listening to the other side of the aisle, listening to the Democrat’s advice and forgetting about building the wall that will stop immigrants of all kinds from many countries from entering the country by the southern border. President Trump should desist in the idea of building a wall; he should use his presidential power to abolish ICE because focusing on ICE is an extremely important debate, and dismantling the agency might be the best policy decision to help his chances of winning a presidential second term. By doing so the Democrats would have no reasons or excuses to attack the president in any way, shape, or manner; by doing that President Trump would be setting up a fair and balanced position for himself that would place him in a non-combative position to the opposition. 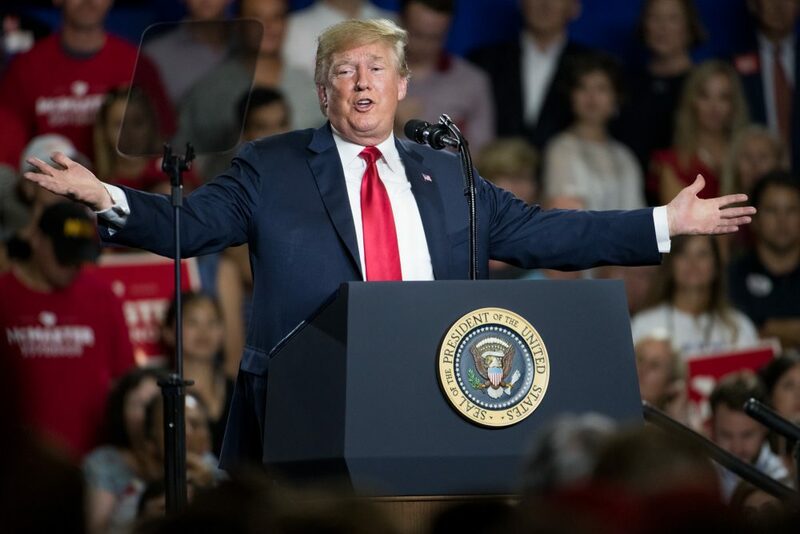 He already has placed himself in a position where the Democrats are imitating him in his political style, like Senator Elizabeth Warren using the president’s attacks on Hillary Clinton during the 2016 election when he wanted to jail the former Secretary of State for her corrupt behavior; just a few days ago Senator Warren stated that by 2020 the president may “not be a president.” She even added “he may not even be a free person,” insinuating that he could lose or be taken off his presidential seat for doing the right thing. or even be incarcerated. Once the president stops his effort to build the wall and abolishes ICE, the next thing he needs to do is make public the residential addresses of Congresswoman Pelosi, Senator Warren, Senator Schumer and that of all the presidential candidates with socialist mentalities so when those criminals and illegal immigrants start flowing into the streets of this country, those politicians can all get a taste of their own medicine, and they will be the first ones to want to stop the illegal immigration. Doing all that between now and the 2020 early voting would have most of the people taking the side of President Trump and electing him to the second term in the primary election because no one, not even Democrats, wants to be invaded by illegals, or wants to share their little or abundant wealth or property with foreigners, or wants to be robbed or have their children sexually assaulted or raped. Previous story Title needed for political advancement.